I don’t think there is any such thing as true selflessness. Whenever you help someone else, it does help you in some way, whether you directly see it or not. Everyone has failings. I think part of success is recognizing when you fail and trying to figure out how to fix it. This is incredibly difficult to do at times, but always worth it. I’ve been showing my children pictures of some of the things we’re going to see on vacation. 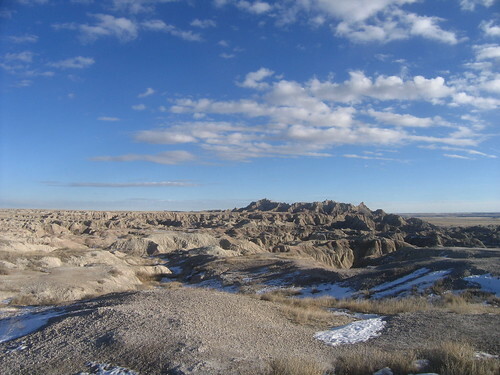 As of yet, nothing has quite captured my imagination like the barren nature of Badlands National Park. It’s so empty, yet so beautiful. Thanks to Lietmotiv for the image. Few things are worse than a dream left unattempted. It haunts you forever. On November 1, 1984, a concert of Chess was performed at the Berwaldhallen concert hall in Stockholm, Sweden. Barbara Dickson, one of the leads, was set to sing a complicated part for her character near the end of the concert when she fell ill just before performing backstage. The others performing, including the male lead, Tommy Korberg, have no idea she’s ill.
Korberg is singing his part and right at the point where Dickson is supposed to jump in, the cue is missed. Korberg looks confused for a second, then out of nowhere, a voice starts singing the solo part out of the chorus. Karin Glenmark, who had sung the part before, just steps up and starts singing it from memory. At her first pause, she moves to the position of the lead she’s replacing and just finishes it out beautifully. Even an “anonymous” member of the choir can sometimes show up and rescue everything. Outside of clinical diseases, happiness is mostly a choice. You can choose to be happy about what you have and what you’re doing or you can choose to be unhappy about it. It takes work to flip unhappiness to happiness, but when you do it, life just gets better. 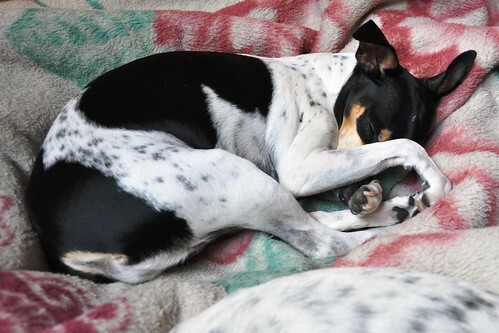 I had a rat terrier when I was younger. The dog’s name was Patch. I loved him dearly. He was killed in April 1994. Every April, I think about him a little. Thanks to John Liu for the image. This is a really worthwhile talk. Give it your attention and you’ll be glad you did. I’d rather live fifty years and do wonderful things during those years than live eighty bitter and negative years. What value is there in living a life full of anger and hate and dislike? If you can’t stomach something or only find fault in it, move on to something else.